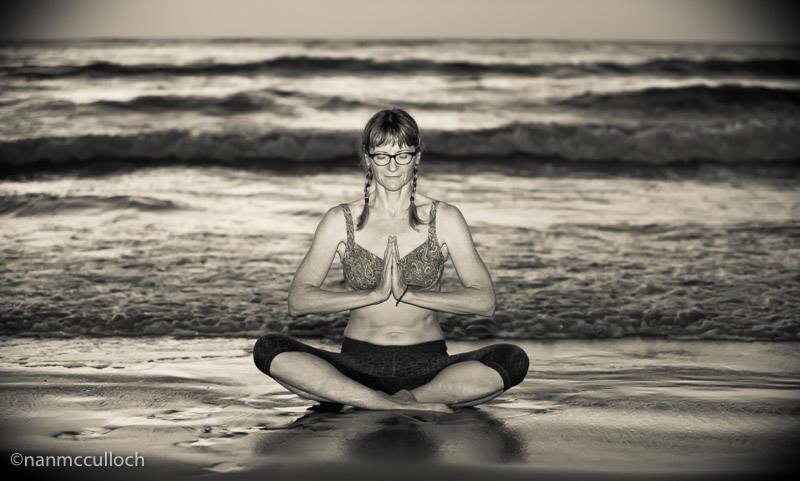 Jan Preet Keval Estep is an artist, writer, educator, philosopher, and yogi. She approaches life with curiosity and a deep desire to connect. Her daily practice combines visual arts, writing, meditation, and yoga, and her recent creative projects explore the relationship between art, spirituality, and the potential of creativity to help people grow and heal. Mindfulness, art, and nature have been central to her own healing. At various times in her life she has been an art critic, magazine arts editor, academic philosopher, university arts professor, and yoga instructor. As an artist Estep has worked in a wide range of media including video, photography, sculpture, embroidery, artist books, site-specific maps, and other printed matter. Coming to art through first studying philosophy, Estep's early work is heavily conceptual, exploring the relationship between language, image, and reality, and the way theories of knowledge shape our understanding of the world. Always interdisciplinary, over the years, seeking greater bodymind integration, and drawing on Buddhist and yogic traditions, her focus has shifted to participatory, performative, and process-based approaches to writing and artmaking. Motivated in part by a personal struggle with anxiety and depression, and the cumulative effects of living with a chronic form of post-traumatic stress, a growing emphasis on combining somatic, contemplative, and creative practices now shapes her creative research. In this light she has recently turned to an intuitive form of drawing and painting and an autobiographical, creative form of writing, and is developing a series of art and yoga workshops. As an educator Estep is committed to mindful, embodied, and experiential ways of learning. In addition to her degrees in biology/art (BA), studio art (MFA) and philosophy (MA, PhD), she is trained in Mindfulness-Based Stress Reduction (MBSR) from UMass Medical School Center for Mindfulness, Kundalini Yoga As Taught By Yogi Bhajan (Levels 1 and 2), Art and Yoga with Hari Kirin Kaur Khalsa, Emotional Liberation with GuruMeher Khalsa, and Prana Vinyasa Flow with Shiva Rea. Continued study complements and invigorates her teaching. The spiritual name Preet Keval means one who experiences divine love once they realize they belong only to Spirit. We are not our stories, our past, our addictions, our traumas or ego personalities. We are not our accomplishments or failures. In truth we are each more vast and holy, and adopting this name calls her to remember that. Spiritual names are part of the Kundalini Yoga tradition. With her husband and three dogs Estep divides her time between her home in rural southwest Colorado and her position in Interdisciplinary Art and Social Practice in the Department of Art at the University of Minnesota.